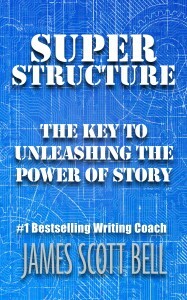 This entry was posted in writing, writing craft and tagged Super Structure by James Scott Bell. Bookmark the permalink. Nope. I think you covered the life extremely well. Jim, thanks for the great words of wisdom. I agree with Amanda, you’ve covered it completely. I would just like to “vote” for my favorite reason – #1. Nurturing the creative side…expanded life…wow. There is something so freeing, so soaring, so being alive that comes with the writing. Is it a high, is it an addiction? It is certainly the JOY you described. And I start each morning here at TKZ…just to add that little boost. Yes, there’s probably a dopamine rush associated with all this. Whatever the source, it’s a great ride. You touched on this a little bit in several of your points, but I wanted to add “Nurture Your Creativity” to this wonderful list. The creative life is wonderful, but we’re not machines. We have to recognize the waxing and waning of our creative fuel and fill up the tank every now and then. You have some great ideas for this in “Plot and Structure” and scattered throughout your other writing instruction books. I’m also reading/doing the exercises in “The Artist’s Way” by Julia Cameron and finding myself in love with her idea of an artist’s date. Go to the park and find some cool leaves. Go to the record store and pick out a new CD. Whatever inspires you. I’m printing this list out and taping it to the wall. Thanks! Julia’s book is a great companion for the journey. Thanks for the reminder, Elizabeth. This is excellent, and every one of your points is true. So many people think they can become a writer or that there’s a secret handshake to becoming a bestseller. Most of them will fall off the track when they realize there’s hard work to be done, and writing is a long term career choice. Of course you’re right. There are people who love the IDEA of being a writer more than actually BEING a writer. Bravo! This is the sort of centering list I need every once in a while to read, especially when I look at what I’m writing now and think “This stinks. Who am I kidding?” I easily forget I thought that at some point about every novel I’ve ever written and somehow worked through it. PS: so glad the site is no longer white on black. Thanks for the new look! Lori, I’m friends with a number of traditional, bestselling writers, and we have all confessed that we get that feeling at some point in every project: I stink! How did I ever manage to fool so many people? I think part of it is that our standards keep going up. We know more about the craft, and therefore can see more of what we need to do better. That’s actually a good think in the long run. Glad you like the new look. It’s surprising (and encouraging) to hear that even best-sellers also have bouts of self-doubt. Hope abounds! Even when my Beta readers and early editors tell me I’ve got a good story, a creative voice, I keep going back and finding steaming piles of crap. Will the writing Gods ever let this impulse pass? I’m not looking for perfection, just story craft that generates pride instead of embarrassment as my obliged friends walk away, signed book in hand, muttering something unintelligible. Ha. I know the streaming piles feeling. But it will get better. You will reach a point when you know you’ve got something not perfect, but pretty darn good. Excellent list! I agree with all of it, a great roadmap for we writers to follow. This is a great way to live. I have to remind myself when I’m down that I’m free to write with my passion and heart, creating the kind of experiences I crave as a reader. As to what I would add, you and I have talked online before about the importance of managing writerly expectations. I’d add the importance of “passionate play” (to crib from my own comment above), let yourself write as you would be absorbed in an engrossing game or an engrossing book by another writer. Finally, understand your mindset regarding what you wrote on a particular day as well as the particular story or novel you are working on in general is going to oscilliate between “this is the most brilliant thing ever” and “this stinks worse than rancid cheese,” and bear in mind other writers experience the same swing in perception about their own work and talents. Yes, Dale, managing those expectations is essential. I’ve been reading a good deal of Stoic philosophy lately, and those guys had it nailed. Epictetus never wrote a novel, and Seneca never sold a screenplay, but it would have been nice to share a bowl of wine with them and talk about the mind. Jim, I plan on reading some of the Stoics’ writings soon. Thanks for mentioning these two and reminding me. BTW, have you considered writing a little e-book on the writer’s mindset? Just a thought 😉 Thanks again for another great post. I actually have considered that idea, Dale. Will keep in on one of the back burners. From the Stoics to Neil Young. Where else but at TKZ can you see such a span of wisdom applied to the writing life? Thanks for the addition, G.
Perseverance in the face of obstacles which are ever present. I think your numbers 6 & 8 are all about this, Jim, but it’s really hard to do in time of difficulty. However, if we look toward improvement it really doesn’t take much to persist. So often I think we burn ourselves out if we succumb to pressure that says get a book out there. We may not be actively publishing but if we’re writing and working to improve our craft then I believe publication will come. But then you have to measure your personal belief about success against the D word, discoverability. So I wouldn’t rush to publish until you’ve defined just that, your belief about what success means to you. You’re right, Jillian, about the difficulty of persevering in times of trouble–artistic, financial, personal. That has ever been the lot of the artist. The true professional is the one who manages to get the work done even when other things are pressing in. Again, it’s like the lawyer. He can’t put a trial on hold while he works things out in his personal life. Finding the right balance is the true art in the writing life. Thank you for this superb, realistic list. I have been horrified to see an increasing number of authors whining, in public, on social media, about bad reviews. And rallying their fans to go to Amazon and mark bad reviews as unhelpful. Or even arguing with readers on message boards about comments made about their book. Arguing. How petty is that? Not to mention impolitic. “The Internet is forever” is not just a line from Nottinghill. Just because we have access to our readers doesn’t mean we can act like one of them. I have had to learn this in my job as a teacher. I cannot get chummy with parents, or talk my colleagues, or name students who are acting stupidly (even to my family), or complain (other than with very general, self-deprecating humor). Not only is complaining in bad taste, but as a teacher my complaints carry weight. People remember them. I am not a private citizen as a teacher or as an author. And while I’m waxing eloquent on the topic, here’s another tacky practice I’m seeing: authors comparing their work to that of other authors. So if you’re wondering if you should share what you’re learning about the Stoics, my answer is please do. Excellent points, Laura, and a couple of cautionary tales. Thanks. #4 stood out for me in particular today. I’ll be publishing book #2 of a series later this year, and I keep telling myself the success of book #1 is no guarantee of success for book #2. Regardless of what happens, I have to keep writing and growing as a writer! I like the idea of a PHD attitude. Poor, hungry, driven…even if you score big on a single book. Excellent list, Jim! Serious writers need to continue working on their craft and be open to feedback. I occasionally get newbie writers contacting me for an edit who don’t really want any advice, or want to argue with every little point made. 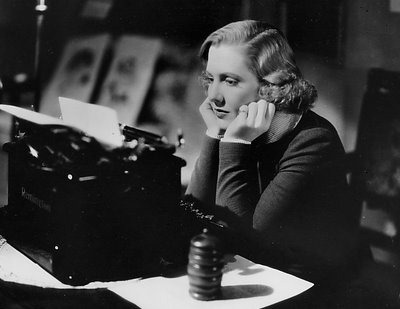 Of course, the writer always has the final say, but why contact a professional editor if you think your story is already perfect as it is and you really don’t want to consider any suggestions for improvement. Needless to say, I decline to edit those manuscripts. And fortunately, the vast majority of writers who contact me, the most successful ones, are open to suggestions for ways to engage the readers, pick up the pace and make the characters and story come alive more for the readers. Yep, no chip on the shoulder, please! The guy whose dog left him, did you get him off. He walk? ‘;nuff said. reminds me of something I read a month or so ago. a defendant who either pled the fifth or exercised his Miranda rights had that turned against him by the prosecutor who stated in open court that if someone pleads the fifth or Miranda’s up, he’s obviously guilty. ‘Murica. There’s a term for that: Prosecutorial miconduct. Jim, the list is pretty complete. Sorry to say, although I vaguely remember something about changing URLs, it wasn’t until I missed your Sunday post that I went looking for this blog. See how important you are? (I presume the check is in the mail). We are, I think, finally getting everything switched over to the new site and not leaving anyone behind. Thanks for tracking us, Doc. Thanks for sharing your hard-earned wisdom. We put the words on the page but the outcome is determined in the reader’s mind. With time, effort, craft, and creativity one’s story (hopefully) comes alive for a reader. IMO if successfully making that magic happen gives you a genuine thrill you might end up a writer. Nicely said, Tom. Could be a writer’s bumper sticker. I needed this today. Thank you! The deadline is looming, and my characters are all over the road. This is the toughest story I’ve every tried to tell. But yes, I love this. It’s work, but I’m learning all the time. Now if I can just patch the plot holes with something other than chewing gum and duct tape. Ah, those looming deadlines. Maybe instead of chewing gum and duct tape, you can bring in a guy with a gun. You certainly had me at Jack London’s credo, which I love so much, and have been trying to live by every since I first saw it mentioned in a Criminal Minds episode. Having a quota is extremely important. It’s so easy to be lazy and put off writing for another day or when “inspiration” kicks in. It’s more difficult to force yourself to write every day, even if you feel like watching Spongebob, so power to the QUOTA! Thanks, Jee Ann. My temptation is not Spongebob, but TCM. Same difference…So I always try to to get at least 500 words done first thing. It makes the rest of the writing day seem much less onerous. Sound advice, as always. I admire your willingness to share what you’ve learned with others. Thanks for all you’ve done. You are quite welcome. Thanks for the good word. As a new writer this gave me such encouragement. It is so difficult to write and write well. I have been blessed by my writing family who have supported me and given me much encouragement and knowledge. Growth in possible with blogs like this and great conferences to attend. This was a great list, JSB. I want to completely raise a pint to #4, the one the Lord used to really speak to me today to reinforce not to stay too long at the feast and get back in the field. Many thanks. Thanks JSB for sharing this list. I think #8 and #5 are the two strongest points. Writing is hard work. and without out the support and encouragement of others to improve your craft and peruse it, many of us would fall to #9.